The UISG/ USG (international leaders of religious women and men) invite and ask religious, friends and collaborators throughout the world to use the following prayer/ritual (created by Terri MacKenzie, SHCJ) for World Environment Day, June 5, 2013. World Environment Day (WED) was established by the United Nations General Assembly in 1972 and first celebrated the following year. This was the first occasion on which the political, social and economic problems of the global environment were discussed at an intergovernmental forum with a view to actually taking corrective action. WED is coordinated by the United Nations Environment Programme (UNEP). Speaker 1, Call to prayer: Let us begin with a deep awareness of the divine presence in all creation — including each of us — and a deep awareness of being part of our spinning planet as it speeds around our Sun. Let us ask the Spirit to help us renew the face of the Earth. Pause to pray, in silence, spontaneously, or with a prayer familiar to the group. S.2: Mining has become a compelling issue for many religious congregations. Unjust mining practices – of coal, gas, oil, diamonds, platinum, gold, uranium, and other minerals — are causing severe harm to individuals, to other beings, and to life systems of air, water, soil, and climate throughout our world. S.3: We depend on Earth’s crust for many gifts such as our solid foundation, aquifers, farmland, trees, minerals, and metaphors for the divine. . . . Let us be grateful for these gifts. S.4: Minerals date to 4½ billion years ago when a starburst radiated all the elements now found in our planet. Over millions of years, Earth with its elements was formed. The early Earth was very hot, and fiery volcanoes spewed molten rock and minerals from its core. Eventually Earth formed a rigid crust above the core. Under the crust, constant churning altered, mixed, and multiplied the minerals, many of which are lodged in the crust. As the continents moved, plants and animals in sediments were buried in Earth’s depths. Over time these became crude oil and gas. S.5: Let us respond to each fact about mining with a moment of silent reflection: Beginning with the Spanish conquistadores, Latin American became “an open vein” causing excessive human toil, suffering, and environmental destruction. This suffering and destruction continues today because of unjust mining practices. Silent reflection. S.6: Diamonds were discovered in South Africa in 1867. The resulting policies and events had an increasingly negative impact on justice and race relations in South Africa and formed the basis of the apartheid system that dominated South Africa for a century. Silent reflection. S.7: More than 70% of global exploration and mining companies are headquartered in Canada. Mining is one of the most polluting industries in the world; it has a disproportionately negative impact on land-based communities, especially indigenous peoples. Mining companies have removed farming communities from their lands in Colombia and South Africa, and they have failed to gain the indigenous peoples’ permission to operate on their land in the Philippines. Silent reflection. S.8: Some minerals are mined by children in conditions of armed conflict and human rights abuses. In the eastern provinces of the Democratic Republic of the Congo, for example, millions of people have been killed, women are raped, villages are raided, people are displaced, land is ruined, and the gorilla population is threatened with extinction. Silent reflection. 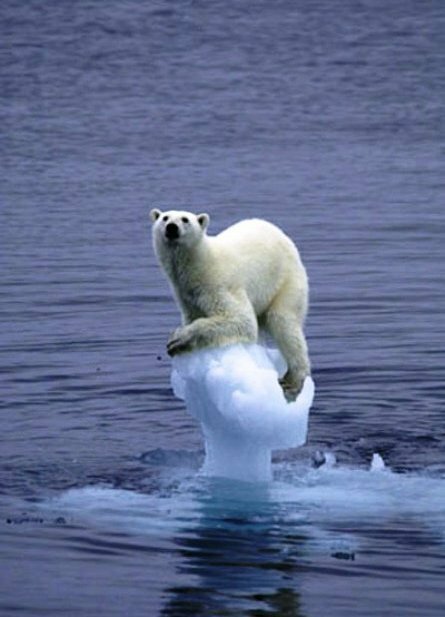 S.9: To save the planet as we know it we must avoid an increase of 2 degrees Celsius in Earth’s atmosphere. We can burn no more than 565 billion tons of carbon-based fuel. But there are five times that many (2,795) already in reserve, and the oil, coal, and natural gas industries are looking for more. Silent reflection. S.10: Mining operations are encountering resistance from both people and governments from Haiti to Bolivia to Peru. Global groups organize prayers, protests, letter-writing campaigns, and divestment activities to stop unjust and damaging mining practices. Silent reflection. Depending on group size, invite people to share together or in 2’s – 3’s their thoughts and feelings, hopes and fears on any one of the following. Clarify what signal will be used to end the discussion. – The mining issue that most concerns me is . . . because . . . .
– My awareness that mining issues affect poverty, human dignity, and future generations was heightened when . . . because . . . .
– Concerning mining, I am inspired when I learn . . . because . . . .
LITANY: Please reply to our intercessions: We humbly ask empowerment. – Let us pray that humanity may shift from an entirely human-centered view of our existence to a realization that Earth is a communion of subjects, a oneness of which we are all a part, we humbly ask empowerment. – that our efforts and those of others will eliminate or reduce the effects of current harmful mining practices, we humbly ask empowerment. – that our efforts and those of others will establish a more equal distribution of the benefits of mining, we humbly ask empowerment. – that our efforts and those of others will bring positive advancement to residents where resources are located, and will increase their participation in decision-making about their sacred land, we humbly ask empowerment. – that our efforts and those of others will find ways for mining companies and their shareholders to benefit from sustainable development, we humbly ask empowerment. – that our efforts and those of others will result in companies and governments respecting the limitations of natural resources and conserving the environment, we humbly ask empowerment. – that our efforts and those of others will protect the needs of future generations, we humbly ask empowerment. – that those whose hearts are “crusted” by greed and thoughtlessness will mine the treasures of love within, we humbly ask empowerment. Final Speaker: Let us reflect quietly on what we can do to heal Earth from damaging mining practices. (For example: ask government officials for better legislation; ask companies that need minerals — like Apple, Inc.— to police their supply chains; lobby for development of acceptable substitutes; recycle electronics; transition to renewable energy; divest from investments in fossil fuels and companies that allow human rights abuses.) Pause to reflect. You are now invited to write on your paper what you will do this week to alleviate the negative aspects of the mining situation that most concerns you. Allow time for writing. All: You have blessed us with good things and plenty; you have surrounded our table with joy. May we here present, and those we bring in our hearts, soon experience an improvement: in the working conditions of those who mine; in the care of our atmosphere, land, and water; and in humankind’s reverence for your gift to us of our unique home — Earth — for which we thank you in Jesus’ name. Amen. If practical, someone takes the dish containing the group’s promises (in procession? with music? drumming? dancing?) and buries the promises. Or, plant something in the dish. That is a beautiful prayer, Terri! Thank you for making this available.The Mining aspect is integrated very skillfully into it and very relevant for our timr. I appreciate the way you weave quotes from St. Francis, Galileo, Pope Benedict into your profound prayer, Terri.